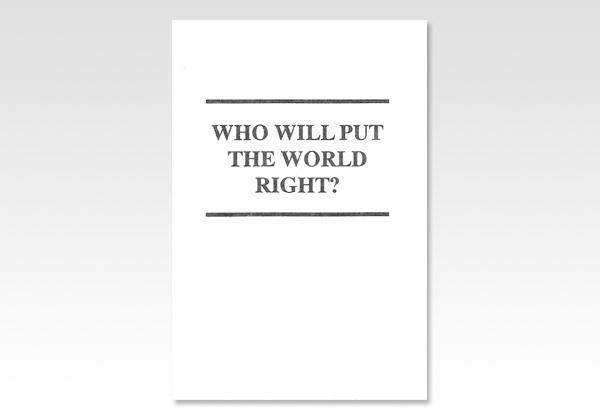 Believers Bookshelf - Who will put the World right? HOW, AND WHEN? AND WHY THE DELAY? Things on earth are not what they ought to be, and all will own it. Broadly speaking, only two remedies have ever been proposed. One is God's, the other is not. One is by heavenly means agreeable to God's will, the other by earthly means agreeable to man's will. GOD'S way is to meet man's sinful liabilities in righteousness, and his every need in overflowing abundance.